Unlike most of the cakes here lately 2 things… 1. I didn’t pull from here and there to do exactly what I wanted. 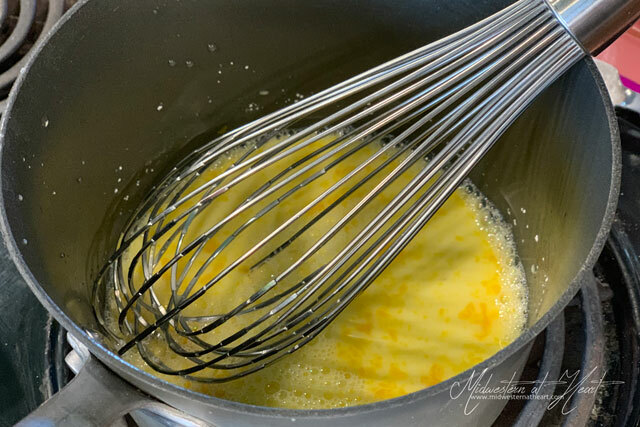 I followed the recipe to a T. 2. It was only 2 layers high, not 3 or 4. 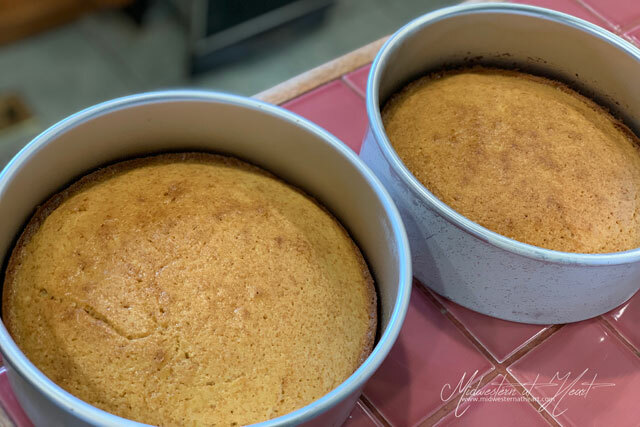 The cake itself was made with brown sugar instead of regular sugar. It gave it a more molassessy feel/taste. Yup, totally made up that word. But as you know, brown sugar has molasses in it if you have to make it yourself. 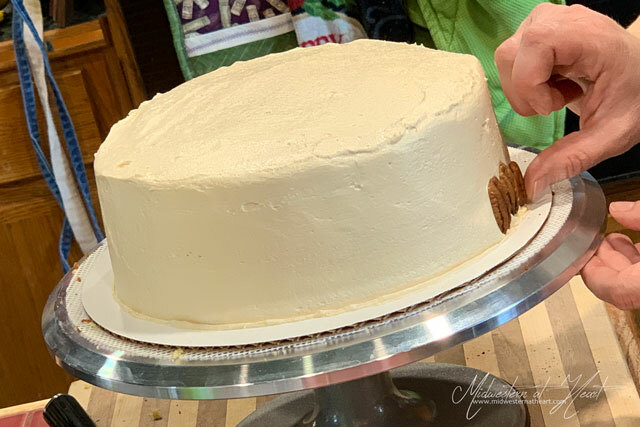 This cake used that good ol’ Swiss Meringue Buttercream, but instead of regular sugar, it was… you guessed it… Brown Sugar. At first, I thought it was going to be short. I was quite worried it was going to look short. In fact, I almost debated making another 2 layers, etc… but I held out hope that it would be beautiful. p.s. I think it was. After I did the crumb coat and placed it in the fridge, then it was time to decorate it for realls y’all. I can’t recall a time I’ve actually used that phrase but let’s just roll with it. So, it was very simple. You ice the cake smooth. 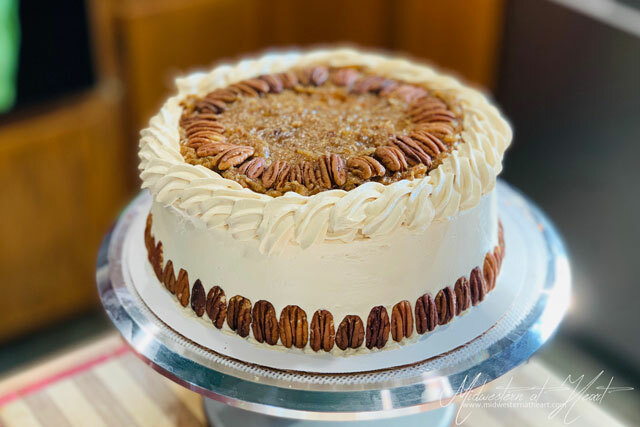 You find pretty whole half pieces of pecans… whole half? Just go with it again because they are half pieces but you wanted that half piece to be a whole half piece, not broken! You line them around the bottom and bam!…. 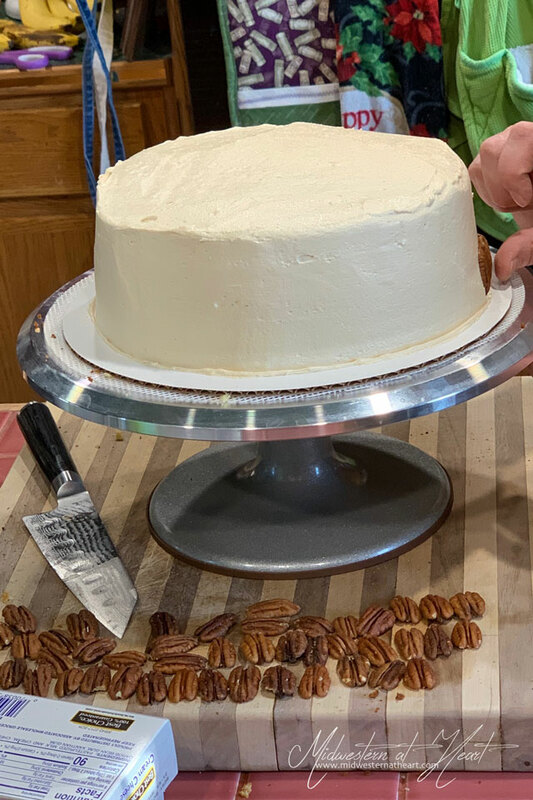 The cake actually looks taller than just a little ol’ two layer cake. It’s that optical illusion! 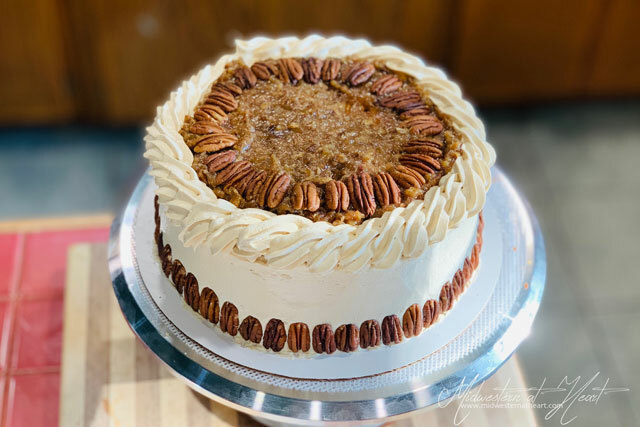 Finally, there is pecan pie filling in between the cake layers but also on top. This is how you know what’s inside because it is presented on the top. 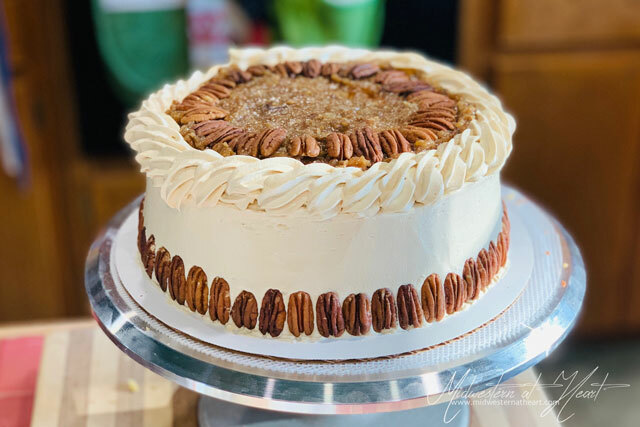 Finally, you can line it with more whole half pecans and use some of that leftover Brown Sugar Swiss Meringue Buttercream to pipe a border around the top to make it look gorgeous! And there my friends is a Gorgeous Cake. 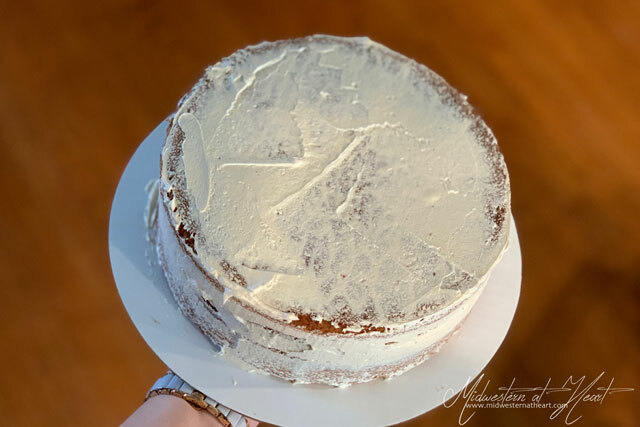 If you want the full recipe, go check out Liv for Cake. She’s got you covered because like I said, I didn’t stray from her recipe. That looks absolutely DELICIOUS!!! Wow!!! You are soooooooooooooooooo talented :)!!! Wish I had a piece right now!! !